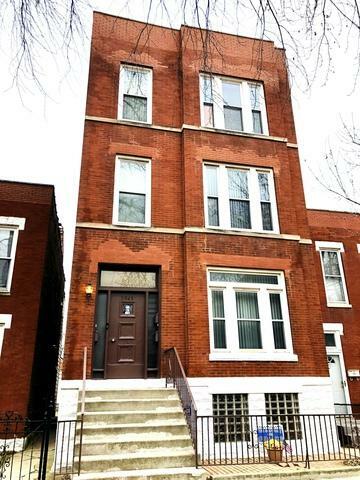 Statuesque solid brick 3 unit located and around the block from Healy School, ranked one of the top elementary schools in Chicago Public School District! This property has been family owned for a long time and very well maintained. Each unit is large (1350 square feet) and features 3 bedrooms, 1 bath, separate gas & electric, central heat, (top floor has central A/C), in unit laundry, 3 hot water tanks, enclosed back porch, full basement with high ceilings, and nice yard leading to 2 car garage! A few blocks to Bridgeport's finest restaurants, pubs, Armour Park with walking trail, play ground, fitness room, and outdoor pool, Guaranteed Rate...Home of the Chicago White Sox, Redline train, major highways, minutes to the Loop, and bike to Chicago's lakefront!! !